If you are on this page, you are probably curious about the details of my summer 2018 sabbatical. You have come to the right place! Yet, you will find that this summer’s sabbatical is not just for me, but is meant to be a time for our congregation to enter a time of sabbatical…a time of renewal and new rhythms of life. 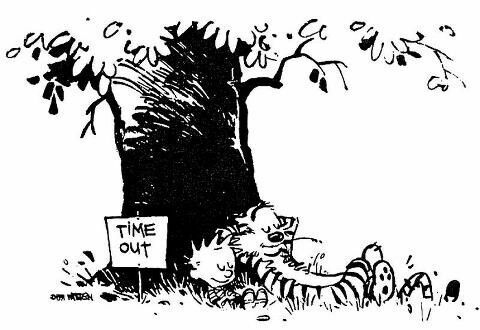 One of my favorite images for sabbatical is Calvin and Hobbes resting against a tree with the sign “time out” posted nearby. Sabbatical in many ways is the gift of “time out.” Now, I did not say “time off,” but a time out from the normal rhythms of life to make space in my and our lives to encounter God in new and fresh ways…in ways that we will be blessed to share with each other at the end of the summer. Thank you to the congregation of St. Peter’s for entering this time of sabbatical with me. You may have questions about sabbatical. CLICK HERE for a guidebook of what to expect this summer at St. Peter’s in guest preachers and a special speaker series that will bring to St. Peter’s a Lutheran Theologian, an astronaut who walked on the moon, and a Rabbi. This sounds like the beginning of a joke, yet this is an invitation to explore my sabbatical theme of wonder as a congregation this summer. For a one pager on all things sabbatical at St. Peter’s this summer, CLICK HERE. If you want to learn more about where I will be this summer in exploring the intersection of science and faith, CLICK HERE to view an interactive presentation of my planned sabbatical journey. 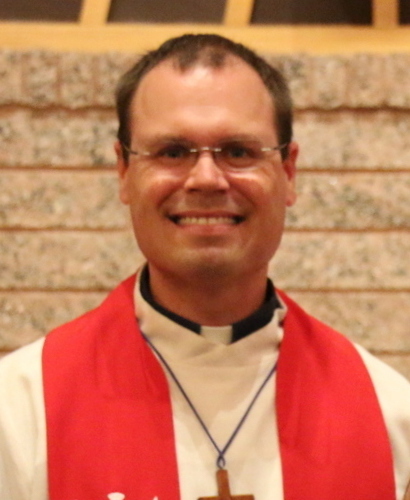 If you would like to read the Lilly Endowment Clergy Renewal Grant that I wrote with the help of our Sabbatical Committee, CLICK HERE. If you have any questions about sabbatical related things, feel free to connect with one of the members of my sabbatical committee: Jerry Bostick, Trey Brown, Elizabeth Knebel, and Jennifer Virdell.